Fisher Family Practice is a privately owned, family-run business. We consider ourselves to be experts in healthcare and we strive to maintain our excellent reputation at all times. Our practice has been here in some form for over 30 years, with the current owner, Dr Martin Liedvogel, being at the helm since 2006. Since this time, we have seen the practice almost double in size and patient capacity. Fisher Family Practice is a teaching practice. We work to ensure that the newest generation of doctors maintain the excellent standard we set for ourselves. We host general practice registrars, medical students and nursing students. Fisher Family Practice has "little sister" practices in Holder Family Practice and Fisher Allied Health. Holder Family Practice came under the umbrella of Fisher Family Practice in February 2016. Fisher Allied Health was opened in April 2016. Both are designed to extend services to the Weston Creek community and beyond. the best health outcomes possible. Fisher Family Practice is the proud supporter of a number of community partnerships. We have loaned many thousands of dollars to microbusinesses in developing countries through KIVA (see www.kiva.org); we have supported Awareness Cambodia through monthly donations for over 10 years (supported in part by our donation box at the front desk, see www.awarecam.org.au); and we run a year-round collection box for Communities At Work, who pass non-perishable food items onto families in need. We also choose to be environmentally sustainable whenever possible, by purchasing all our toilet paper and tissues through Who Gives A Crap (www.whogivesacrap.org.au). This company not only makes great quality, recycled toilet paper and tissues, they also donate 50% of profits to establishing toilets and sanitation in developing countries. All our scrunchable plastics are also collected to return to RedCycle (www.RedCycle.net.au) who turn plastic bags into park benches and sporting equipment. We encourage everyone to support their charity where they can. 'We love our kids, and we love our community. This doesn't end at Weston Creek - it's a global community - and we feel compelled to cherish and support it. Our desire to help Awareness Cambodia stemmed from a trip we took in 2006, and saw firsthand the challenges Cambodian children faced. Helping KIVA arose from our believe that empowering women to earn an independent living helps children stay in school. And our environmental support? It's simple. This is our world, and we are obliged to take care of it." LIKE THE SOUND OF OUR PRACTICE? WHY NOT APPLY TO JOIN THE TEAM? Are you passionate about delivering quality family care in a supported environment, with great and flexible remuneration opportunities? Do you need excellent career and educational opportunities for yourself, your partner and children? Then Fisher Family Practice, Canberra is the place for you. You will find the work at Fisher Family practice intellectually stimulating and varied. We provide 'cradle to grave' care to our 5000+ loyal, patient population. This allows for a varied workload including minor procedures, women’s health, men's health diabetes, aged care, practice management, and child health etc. Your position at Fisher Family Practice will involve mentorship from recent Fellows of the Royal Australian College of General Practice (RACGP). And best of all, we use an accredited after-hours deputising service, so you would have no after-hours commitments. In the future, part-ownership of the practice may also be an option for the right person. 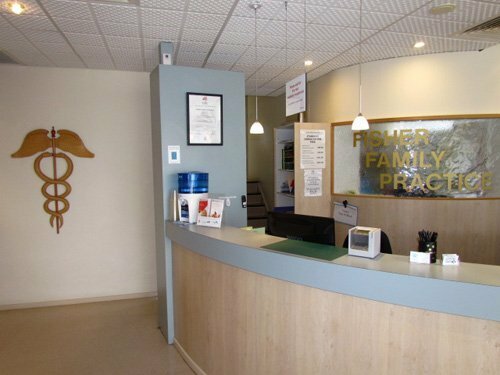 ​Fisher Family Practice is a well-established, purpose built, fully computerised, paperless, and recently extended practice in the South Canberra suburb of Fisher. We also own Fisher Allied Health, which is co-located beside Fisher Family Practice and hosts a team of allied health professionals (see www.fisheralliedhealth.com.au) and Holder Family Practice, which is a smaller general practice in Holder, Weston Creek (see www.holderpractice.com.au). "We welcome applications from interested and like-minded GPs at all times. Please contact us now for a confidential and informal discussion"